Have you bee wanting to make one of Elizabeth Hartman's adorable animal quilts? 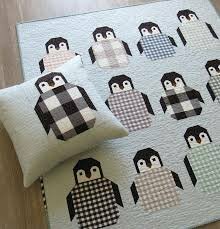 Here is your chance, This is one of the easiest and I would recommend this for your first Elizabeth Hartman quilt. The faces come to life and are adorable.